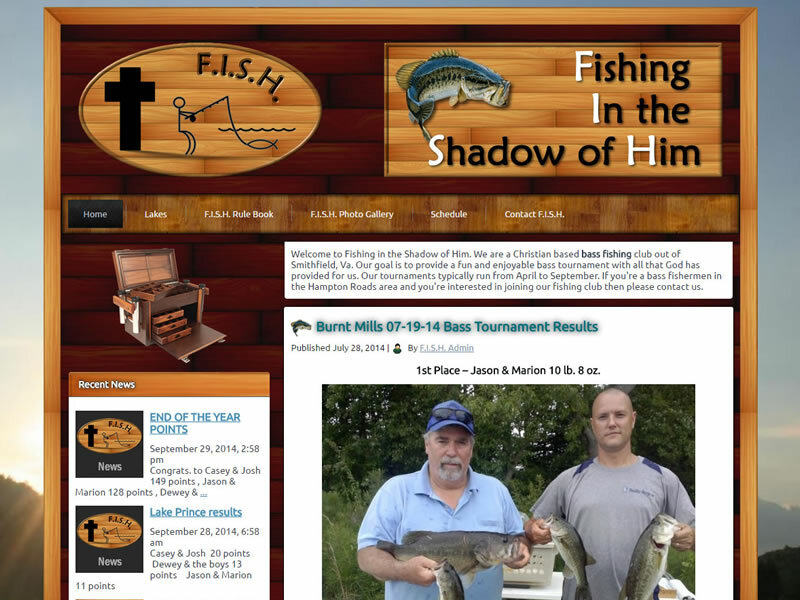 Fishing in the Shadow of Him is a christian based bass tournament fishing club. One of our employees is a participant within this tournament. So we decided to create a web site for the club and its members. In 2013 we converted FISH into a WordPress site while still keeping the same look and feel of the site. This was done to make it easier to manage as well as update the 6 year old code.